High-voltage cable (HV cable) is a high voltage electric transmission cable. High-voltage cable in large, medium-sized x-wire machine, connecting the high-voltage generator and the X-Ray tube. 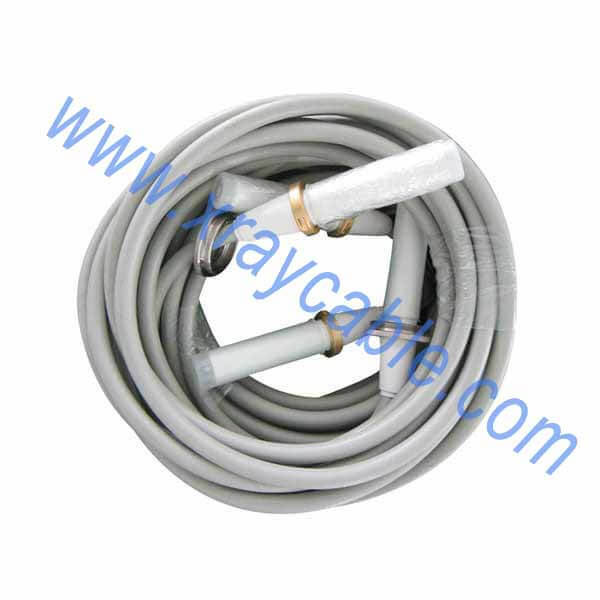 X-ray cables are employed in lengths of several meters to connect the HV source with an X-ray tube or any other HV device in scientific equipment. They transmit small currents, in the order of milliamperes at DC voltages of 30 to 200 kV, or sometimes higher. The cables are flexible enough, with rubber or other elastomer insulation, stranded conductors, and an outer sheath of braided copper-wire. The construction has the exact same elements as other HV power cables.The function is to send the high voltage output of the high voltage generator to the two poles of the x-wire tube and to send the heating voltage of the filament to the filament of the x-wire tube.